Haha, all are freaking out because of the hair, which is indeed very good. But the shape and shader of the leather vest is my favor, with the little wrinkles in the bigger folds. How did you managed to get them in the fold and a more flat surface at the upper regions? by a texture or by sculpting? In my opinion, the only a bit unnatural looking thing are the skin. It is a bit flat, may are there some pores missing. But another great detail are the eyes, with this tiny little reflect on the bottom lid. May i should begin to stop typing^^ great rendering 5 stars! maybe the face needs more volume, but very very good! by a texture or by sculpting? How did you make the hair, though? In Blender or ZBrush? 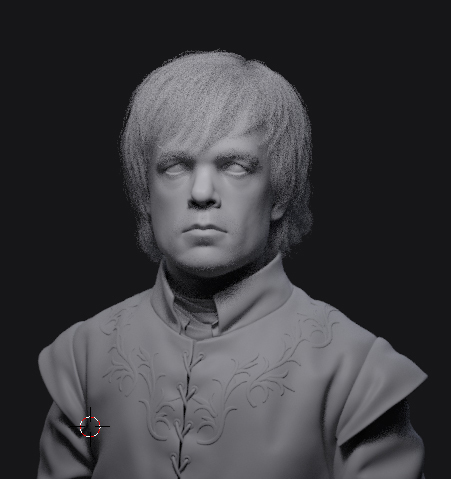 Can you show us some pics of the model and the hair ? The only way you can convince me that is not a picture is an AO render! WOW! Really great sculpt. The face is maybe a bit clean. Maybe add some subtle wrinkles. Could be the lighting. Anyway. Really good job. The hair is superb! Hi pitiwazou. Thank you for your lesson! 3d preview and gray material render. How long did you take to made the hair ? 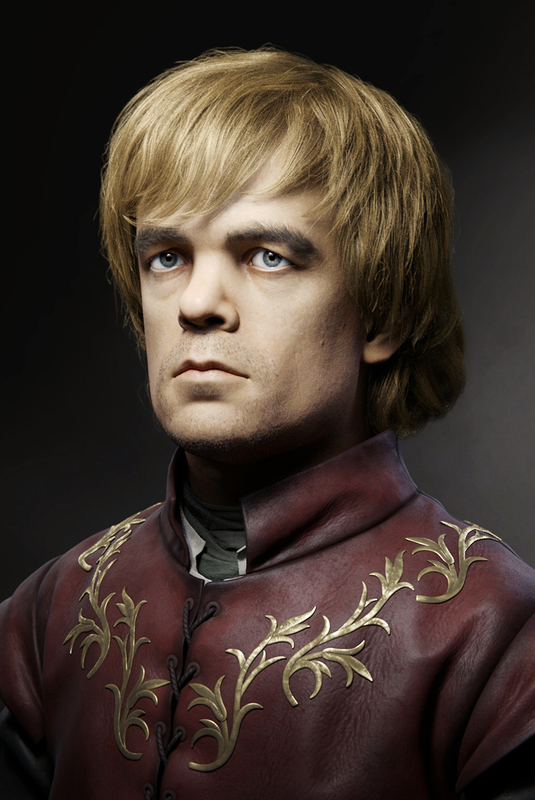 Fantastic work - specifically the hair style! Try out to render the hair layer alone slightly blur it and then paste it over the rendering. 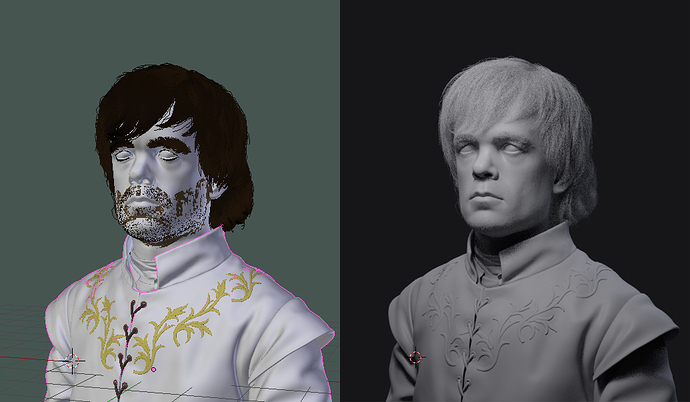 I think that will give the hair that translucency the raw rendering does not provide. Nice! I also would definitely enjoy a hair and eye tutorial if you ever make one. Great job! I really like the look and feel of your render, it is like an old oil portrait as a photograph. But your final image lacks a bit of contrast, to bring out the last step of realism. I hope you don’t mind that I played a bit in Photoshop. Just small adjustments: contrast and color correction by RGB curves, color variation in the skintones, sharpen the skin (the SSS took away some of the finde details), that’s it. Really great image, I’m looking foreward to seeing more from you. payne: Hey… thnaks man! It looks good. I try to play with the contrast to the next character. In process are several characters. pitiwazou: very long time. many experiments. agree this is amazing work! Brilliant work Dimetrii, I love everything about this.